It is a known fact that majority of Canadian are living paycheck to paycheck. They use their monthly cheques to pay for their bills and lifestyle. Such people when have needs to grow or buy something expensive, they turn towards unsecured loans. When it comes to lending options, there are tons of them available for people of Canada. The options range, car loans, mortgage loans to credit card loans as well as payday loans. With so many options for unsecured loans available, which one should you choose? Traditionally, the unsecured personal market was held by CitiFinancial and Wells Fargo in Canada. In 2010 Wells Fargo left the Canadian market and sold its personal loan portfolio to DBGS Anthem LP. With the strengthening of CitiFinancial in the Canadian market, payday loan sector also experienced an explosive growth. It is essential to note here that CitiFinancial provides installment loans with longer time frame of repayment and at affordable terms whereas fast or payday loans are usually short term loans at higher rate of interest. Also if short term loans are calculated for an entire year, the interest rate adds up to 400%, which is too much for an Middle- income holder. The increase in online payday loans has resulted in payday loan trap or payday loan cycle. A person enters a payday loan when he is in need of instant cash and agrees to pay it back on his next check along with the interest rate offered. If he is unable to pay the loan in time then he takes second payday loan to clear the first. The cycle continues until he pays back the original loaned amount along with the penalties and other interest rates charged. Another trouble with such loans is that any missed payment on such loans can hurt your credit card score and if you are not able to consolidate your debts fast then you might not be able to escape this cycle and will have to search other options like consumer proposals, debt reduction programs or bankruptcy. Some companies have noticed this turn of events and have decided to take essential steps to take part in this sector. Being an A class credit lender, Citifinancial still stays in the game. Also some other lending sources have established themselves as personal loan lender companies are also focusing on pulling out the Canadians from the payday loan trap or avoiding it completely. Now apart from the major institutions, most of the Canadian cities are home to plenty of small time lenders. These institutes are scattered across the country and their guidelines vary from region to region. But that does not mean that unsecured loans don’t exist. They still are available in variety of options. You can easily choose a recognized institution in your province and fill an application form with them to get your installment loan approved. One can even apply online as it gets easy to submit the forms and documents required as well as it allows the borrower to compare the rates offered by different companies. Payday advance consumers are the face of the country. People with jobs and families who sometimes have unexpected or unbudgeted expenses between paychecks need short-term loans to meet their debts. These unexpected urgencies can cause crisis in their life if not solved immediately. Thus, most of them choose payday loans to meet urgent cash needs which they think they would be able to pay back with their next paycheck. A person uses a payday loan just like a credit card only, they think they would pay it back in sometime, most of them do but some are not able to and then the real problem emerges. Now, besides the institutions named above, most Canadian cities are home to various small time lenders. Of course, they are scattered and their lending guidelines differ from region to region but unsecured lending solutions do exist. Payday or fast loans in Canada is allowed under the section 347.1 of Criminal Code of Canada, as long as the province in which the customer lives confirms to provincial legislation relating to the provisioning of such loans. For places where no such provincial legislation exists (like Newfoundland and Quebec) payday loan charging an interest rate over 60% per annum are considered criminal by usury law. The Supreme Court of British Columbia gave its decision on August 14, 2006, in a class action lawsuit against A OK Payday Loans. A OK took 21% interest rate from its customers, along with a “processing” fee of 9.50 Canadian dollars for every $50.00 borrowed. Also a “deferral” fee of 25 dollars for each $100 was levied if a client delayed his payment. It was ruled out by judge that deferral and processing fees were interest only and A Ok was levying a criminal interest rate. The payout as a consequence of this judgment is likely to be several million dollars. The British Columbia Court of Appeal collectively acknowledged this decision. Here are some stats of people who may or may not go for payday loans or other form of unsecured loans. These stats don’t include people with bad credit score and those not eligible to get an installment loan. In year 2006, the Criminal Code of Canada was modified to permit for Provinces to control the payday loan industry.All provinces other than Newfoundland and Quebec have legislations to comply with the payday loan restrictions since then. But before taking payday loans you must know the laws incorporated in various provinces of Canada. Alberta state law allows fast loans at rates up to 23%. Since June 2010, the government of Saskatchewan declared similar regulations on fast loans as on the British Columbia. 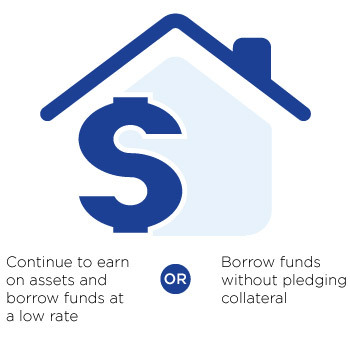 This covers an interest rate of 23% on principal, a rate cap of 30% on a defaulted loan, and a borrowing amount is limited to 50% of the total income of the borrower’s next pay. Companies providing payday loans Saskatchewan will have to pay a licensing fee of $2,000 per location. 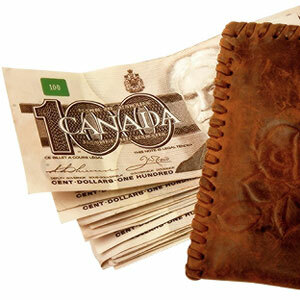 The Payday Loans Act 2012 came into application in Saskatchewan in January 2012. Manitoba among other states has the most restrictive interest rates as compared to any other province (except Quebec that bans all payday loans) at 17%. In addition, any consequent payday loans in Manitoba taken by the same borrower within a particular time period are restricted to a considerably lower rate. Ontario applied the Payday Loans Act 2008 to restrict the fees levied on loans. In February 2013, Ontario attempted to annul the license of Edmonton-based The Cash Store to work in the province because of violations of the Act. At first allowed payday loans in Nova Scotia were allowed at 31%, but now it has been considerably reduced to the maximum rate of 25%. Payday loans in Prince Edward Island carry a cap of 25 percent. Quebec & Newfoundland have chosen to ban any outright payday loans. Quebec has chosen to restrict interest on all payday loans to a maximum of 30% annual interest, where Newfoundland enacted no legislation on this matter, thus leaving all restrictions on the federal government cap of 60%. Since such loans are typically over 600%, this makes it efficiently illegal in both the provinces. It can be clearly seen that the interest rate has been considerably controlled and reduced by certain provinces but again the fact that one can take payday loans for a short period of time makes it still expensive. Even at 26%-30% rate, the annual rate of interest is still high. A person may keep the payday loan until his next payday date but these rules do not nullify the fact that a person still has to pay high penalty and other charges in case he misses on his repayment. People don’t become defaulters by choice. Some people might delay a payment by a day or two but still they have to pay the penalty fees. It is not the case in installment loans. First of all time frame for repayment is longer and if you are unable to make payment on the decided date then you call the bank and tell them you will be late for a day and most of them will not reflect it on the credit score. It is not the case with payday loans, not only you pay high penalty fees with them but if you fail to repay the loan, your credit card scores go down too. With bad credit card scored you further decrease you chances of getting an installment loans. Here are some options that you should know. Secured Credit Cards This option is a great way to fulfill short term cash needs particularly because the card is secured against the initial deposit made by you. There lender is okay to provide credit to you, risk free. You also get an easy and quick approval as long as your initial deposit is available. If your credit card score is good then you have multiple options of loan available that include credit cards as well as personal types of credit. It is easy to understand credit cards – you borrow X amount of credit and repay it back in time whereas personal credit lines are given to customers with good credit score as well as those who have their bank accounts in line. In fact banks will call customers who are in the good books of banks to grant them loans even if they are not looking for it. They offer loans at a good rate of interest to such individuals because these clients are seen as financially responsible and therefore present less threat to the financial institution. In simple words, these are pre qualified individuals who benefit from low lending rates. Even for a personal credit you need to have a good credit score, and similar financial responsibility as in the above case. If you are not pre qualified that does not mean that you loan won’t be sanctioned, it’s just you will have to fulfill the prerequisites of the bank to get approved. Banks usually take extra precautions prevent risks. Most of the loans are granted against property or other valuable assets. If you don’t have a strong financial profile, then you may face rejection. People who face rejection often move towards payday loans. Loan sector in Canada is strongly positioned in the lending sector so if you don’t have strong credit score then you can wait for few months and work towards improving your credit score. The banking institutes can also guide you how you can do that. You can even find free tools online that will help you manage your accounts and keep a check on your credit. There are several option to choose from for building your credit score. One must keep in mind that it is wise to avoid urges to give into the temptation of payday loans. One must avoid them unless they are sure of its repayment in time.